The Arroyo High School Choir will be among the more than 1,000 Southland students to perform in the Los Angeles Master Chorale’s annual High School Choir Festival, giving pop-up performances outdoors on the main staircase of the Walt Disney Concert Hall at 11:30 a.m. Friday, May 3. The main event is the festival concert, performed by students at 1 p.m. 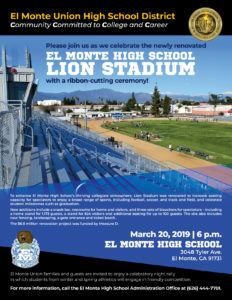 Hundreds of El Monte Union students are poised to celebrate an important next step toward achieving their academic pursuits during College Signing Day ceremonies at each comprehensive high school. 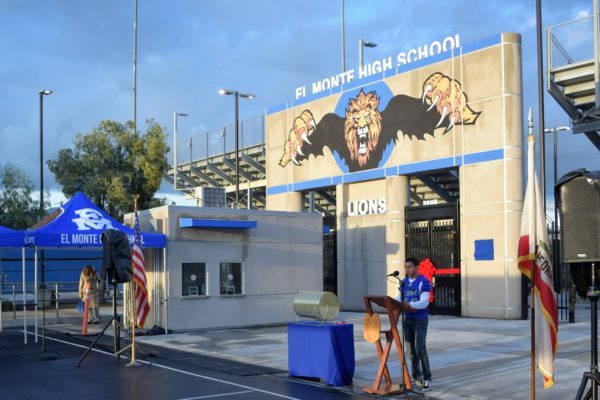 El Monte High School will hold its event at 11:30 a.m. Tuesday, April 30; Arroyo High School will celebrate on Wednesday, May 1; South El Monte High School will hold a four-year commitment celebration on Thursday, May 2; and Rosemead High School will hold its event from 11:45 to 1:50 p.m. Friday, May 3. 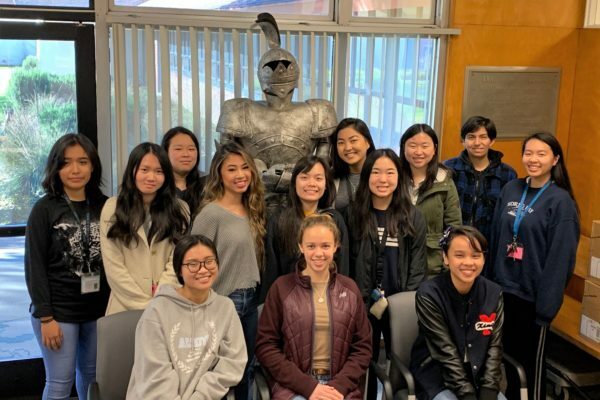 The Rosemead High School Science Olympiad team will return to the Southern California State Science Olympiad Tournament for the first time since 2016. The final will be held Saturday, April 6 at Caltech. The 15-member Panther squad scored a fourth-place finish at the nearly 30-team Los Angeles County Science Olympiad on Jan. 26. Every member of the Panther team placed in the top six in at least one of the 23 events. 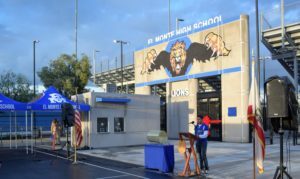 El Monte Union High School District’s Arroyo High School has earned the first College Board AP Computer Science Female Diversity Award for achieving high female representation in AP Computer Science Principles courses. 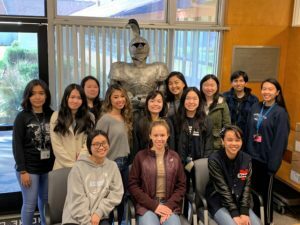 Arroyo was recognized for either reaching 50 percent or higher female representation in the AP course or having a percentage of the female computer science examinees meeting or exceeding that of the school’s female population. Nearly 1,000 parents, administrators, teachers and community members gathered March 1 for the 23rd annual Parent Involvement Academy, hosted by a consortium of eight educational organizations, including El Monte Union, to support parent engagement and involvement in their children’s success. 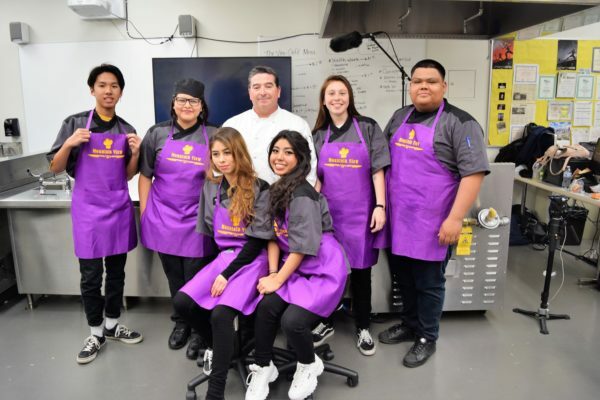 Student chefs from three El Monte Union high schools squared off to prepare a full meal – complete with a protein, vegetable and starch – in Cooking Showdown, the District’s first-ever cooking competition on March 15. Filmed by Mountain View's VISTA Academy video production class, the game show-style competition featured three teams of six students receiving identical surprise ingredients and being given 75 minutes to plan and prep their dishes. The winner will be announced at the Board of Trustees meeting on Wednesday, May 1.